Everything to keep you on the job. Morrison’s Power Equipment offers many more services than just repairing equipment. From pickup and delivery to repairing flat tires, Morrison’s is here to help. We do all our own work in house to ensure it is done efficiently and with the utmost quality. Morrison’s Power Equipment offers pickup and delivery. We utilize a pickup truck and trailer or a rack truck with a lift gate. 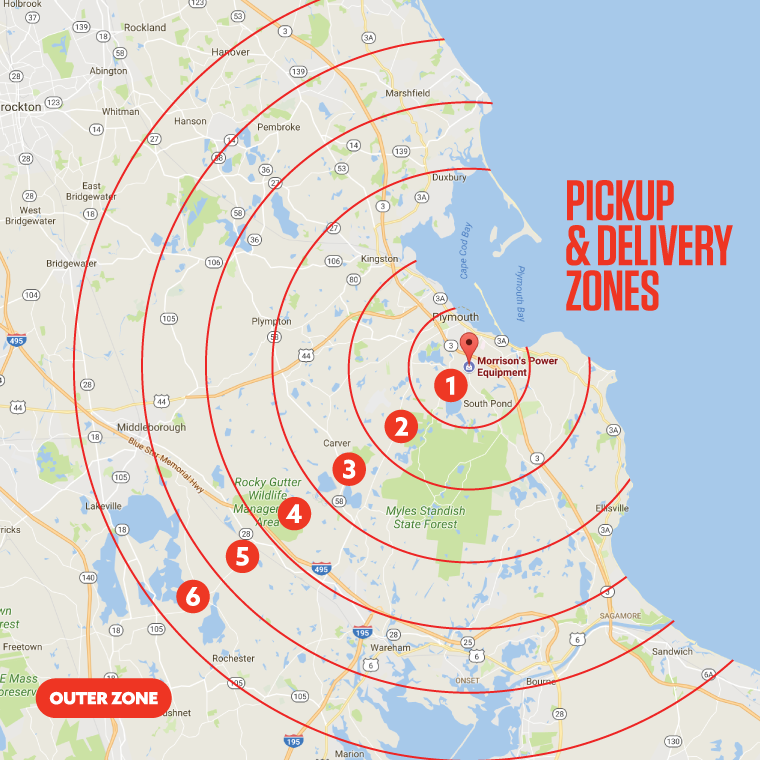 Our pickup and delivery costs vary by distance and current gas prices, call us at 508-747-9747 with your address for an estimate.